Steve Brown: Jerry, you have tried to slow things down without luck, my first question is this….are your legs and hips (lower body) rotating at the same speed your arms and shoulders are rotating (upper body)? Secondly, are you swinging at a speed that is out of control and causing you to loose balance? 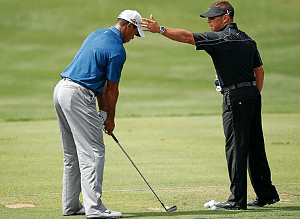 Third, is your swing “violent” or a jerky motion to start the downswing? Your focus should be to create a smooth swing where the lower body iniates the swing. The lower body starts the swing, pulling the upper body through at the same rate of speed, The key to keeping the swing in control is a smooth start to the downswing. Your thought process must be “smoooooooooooooooth”! See your local PGA Professional for additional help and good luck to you. Jesse Winkel of Harbor Beach, Michigan writes: I am doing a report on becoming a pro golfer and I would like to ask you a few tips on what to practice on. I would like to know what it is like to be a professional golfer. 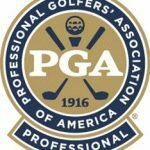 Steve Brown: Jesse- As far as tips and what to practice on, I would highly recommend that you call a PGA professional in your area. I do not know if there is a course in Harbor Beach, but I see a listing for a Verona Hills in Bad Axe (30 miles or so west of Harbor Beach). Set up an appointment with the pro you select and let him/her evaluate your game and together, build a practice plan. Being a professional golfer is just one of many hats that club pros wear. The professional golfer is generally a player of the game. 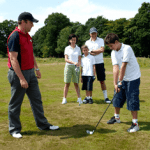 A Golf Professional (aka club pro) is an educator of the game, as well as a business manager, promoter, etc…. I wish you luck with your report and hope that you develop a deep love for the game as many of us have. Thanks to Kim Brown and Steve Brown for answering these questions.